Binary options is a financial instrument that allows you to speculate on future market movements of underlying assets. Some regulatory bodies consider binary options to be financial instruments and regulate them as such. Other jurisdictions consider binary options to be a way to bet on the stock market and regulated the instrument as gambling. Both classification have their merit and the truth is that binary options is somewhere in between the two classifications. They have no value if they mature outside the money making them similar to gambling but they are based on financial assets. The movements of these assets can be predicted by a skilled trader making it more like investing than gambling. If you refer to binary options as gambling you imply that they are governed by luck. This is not the case. The trade is skilled based. If you refer to binary options as an investment you imply that they have a persistent value. This is not the case. They are worthless if the mature outside the money. None of the two definitions make binary options justice. The best way to look at them is as a way to speculate on future market movements and make large profits on Small movements. There are several different types of binary options. Each type work slightly different. In this article we are going to focus on classical binary options. The most commonly traded and most popular type of binary options. Each binary option is based on an asset. It is the market value of this asset that is going to decide if the option matures on the money or not. The asset can be a stock, a currency pair, a commodity or a index. 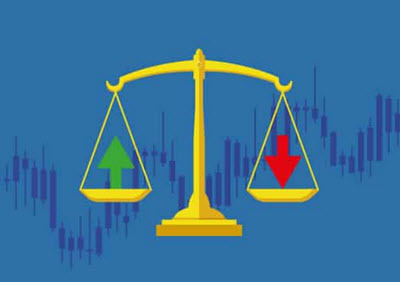 When you buy a binary option you are speculating that the market value of the asset the option is based on will be above or below a certain value at a certain time in the future. This time is referred to as the time when the option matures. The option might mature in as little as 15 seconds and in as much as a month. The market value of the asset in the time leading up to the maturation of the option does not matter. It is only the value at the exact time of maturation that matters. If you correctly predicted the value of the asset then the option will mature in the money. When this happens you will earn a high return on your invest. Often 80-90% or more. If you were wrong then the option is worthless and you lost the money you invested. You can quickly earn a lot of money if your skilled at choosing the right options to buy. There is no open market for binary options and there is no 3rd party involved in the transaction when you trade with binary options. The broker acts as underwriter for the option and offer it for sale on their marketplace. They get the money when you buy an option and they make a profit if the option matures outside the money. They lose money if the option matures in the money. All binary options are designed to give the broker an statistical edge that will allow them to make money. You will lose money if you buy random options and hope for the best. It is possible to overcome the statistical edge and make money by skillfully analyzing the market and using this information to pick options with a high probability to mature in the money. Binary options are high risk instruments and there are countless stories online about people who have lost a lot of money trading binary options. There are also a lot of people who have earned a lot of money. We do however not recommend binary options trading. The risk is too high and it is harder than most people think to make money. Binary options are only suitable for skilled day traders.